With our service we help younger generations discover the most interesting and stimulating content in an easy and fun way. When users click on an article, we redirect them to the publisher’s own website. In this way we offer a great service, and generate more traffic for publishers, find new readers and create more revenues for them. 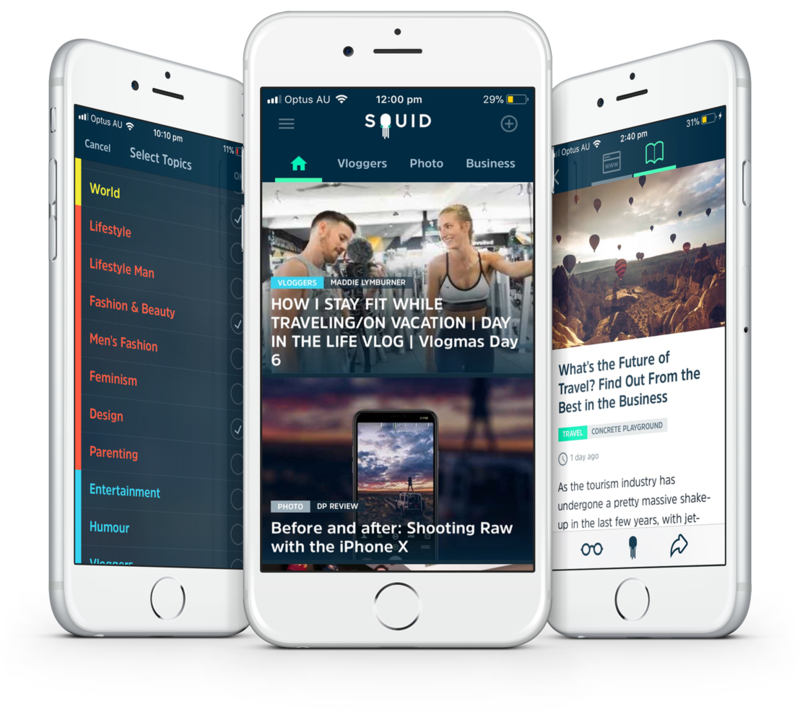 If you’re a publisher and would like to contact us for information, requests, complaints or questions, write us at contact@squidapp.co.